Apple’s tvOS 12 takes the cinematic experience of Apple TV 4K to the next level — making it the only streaming player both Dolby Vision and Dolby Atmos certified. San Jose, California — Apple today previewed tvOS 12, the powerful operating system designed for enjoying entertainment on the big screen, which takes the cinematic experience of Apple TV 4K to the next level with support for Dolby Atmos audio, convenient new features to easily access the shows and movies you love and breathtaking aerials shot from space. Apple TV 4K has been a hit since its debut last fall, offering customers the largest collection of 4K HDR movies, including free 4K HDR upgrades to previously purchased movies in customers’ iTunes libraries. This fall, iTunes will be home to the largest collection of Dolby Atmos-supported movies anywhere, and these titles will also include Dolby Atmos audio for free. 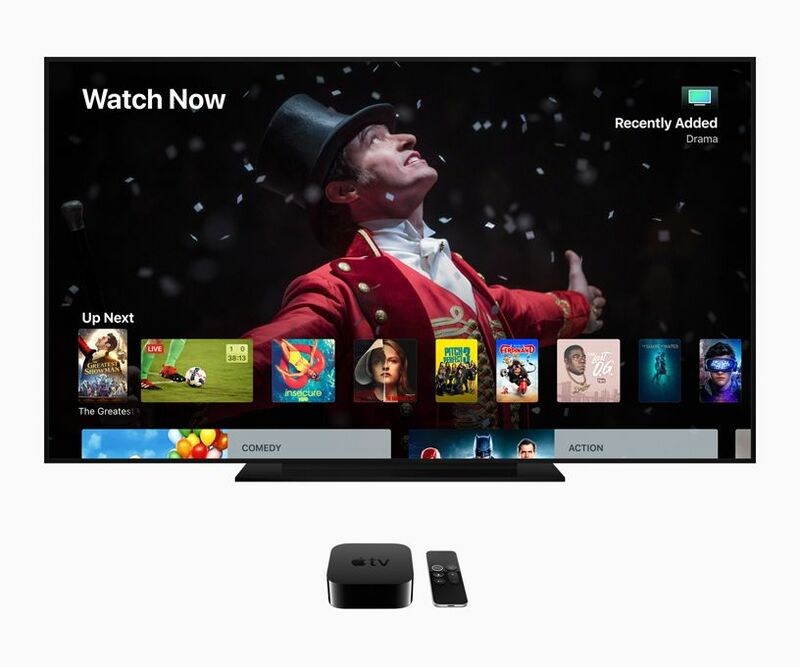 With tvOS 12, Apple TV 4K will be the only streaming player both Dolby Vision and Dolby Atmos certified, delivering the highest quality cinematic experience of stunning 4K HDR visuals and immersive sound that flows all around in three-dimensional space. 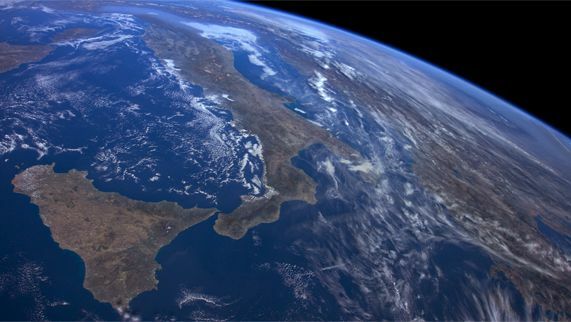 New aerial screensavers on Apple TV were shot from space by NASA astronauts aboard the International Space Station. Video providers around the world are choosing Apple TV 4K to deliver their subscription services to customers. Apple today announced that Charter Communications, the second-largest cable operator in the US, will begin offering Apple TV 4K to their customers. Later this year, customers in nearly 50 million households will have access to live channels and tens of thousands of on-demand programs via an all-new Spectrum TV app on their Apple TV 4K, iPhone and iPad, seamlessly integrated with Siri and the Apple TV App. In addition, as part of this collaboration, Charter will be offering iPhone and iPad to customers as they grow their mobile presence. Charter joins AT&T’s DirecTV Now in the US, CANAL+ in France and Salt in Switzerland, which have begun offering their customers Apple TV 4K with their services. Available on Apple TV, iPad, and iPhone, the Apple TV App is the single destination to find and watch TV shows, movies and more from more than 100 participating video apps in 10 countries. 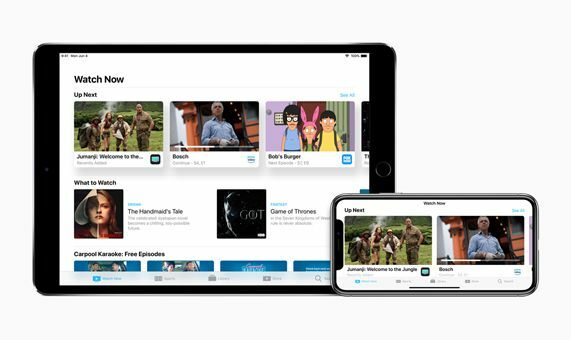 The Apple TV App on iPhone, iPad and Apple TV is the single destination to find and watch TV shows and movies from more than 100 participating video apps in 10 countries. Single sign-on for Apple TV and iOS has allowed users to sign in once to get access to all the video apps available through their cable subscription. With tvOS 12, Apple further simplifies the authentication process with zero sign-on. Apple TV simply detects the user’s broadband network and automatically signs them in to all the supported apps they receive through their subscription — no typing required. Zero sign-on begins with Charter later this year and will expand to other providers over time. Aerial screensavers are a favorite of Apple TV users and reach new heights with tvOS 12. Apple, in collaboration with the International Space Station National Lab and the Center for the Advancement of Science in Space, unveiled brand new aerials shot from space by NASA astronauts, so Apple TV customers can enjoy even more stunning scenes filmed in 4K HDR. Aerial screensavers will also be more interactive, allowing viewers to see the location information and swipe between dozens of beautiful aerials. 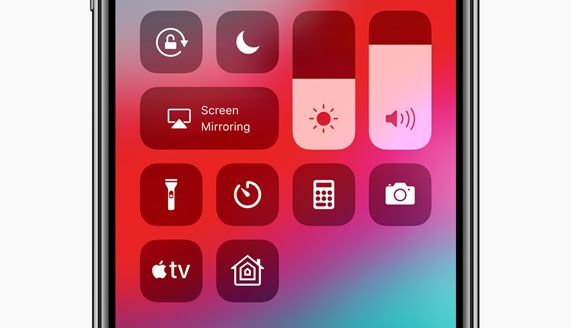 The Apple TV Remote automatically added to Control Center on iPhone and iPad makes it even easier to control your Apple TV. Home control systems like Control4, Crestron and Savant can be used to control Apple TV, including using Siri for voice search and control. The tvOS developer preview is available for Apple Developer Program members at developer.apple.com starting today. The new tvOS will be available this fall as a free software update for Apple TV 4K and Apple TV 4th generation. For more information, visit apple.com/apple-tv-4K. Features are subject to change. Some features may not be available in all regions or all languages.